18.Jan.2008. Delhi. Late Sh. Khan Chand Satija and his wife Dayawanti Satija is the owner of house constructed on 80 sq yd. at 54 Priyadarshni Vihar, Opp Nanak Paio Gurudawara, Delhi-9. Both the old aged Senior Citizen persons are staying alone in the two and half story house. In June 1998 Sh. Rakesh Juneja and his wife Dimple in the absence of Late Sh. Khan Chand Satija trespassed into first floor and became tenant without signing any agreement. In view of Delhi Police drive on compulsory Police verification for tenant in Delhi, Late Sh. Khan Chand Satija approached the SHO PS Model Town on 8th September 1998 for Character Antecedent verification for his so-called tenant Sh. Rakesh Juneja and his wife Dimple. Late Sh. Khan Chand Satija was not aware that his request for verification would become a nightmare of his life. Sh. Rakesh Juneja and his wife Dimple Juneja had crossed all the limits of humanitarian when they came to know about the Police Verification. It was from that day Sh. Rakesh Juneja and his wife Dimple Juneja begins their resentment against old and infirm Senior Citizen Late Sh. Khan Chand Satija and his wife Dayawanti Satija. Both Sh. Rakesh Juneja and his wife Dimple Juneja commence their horror crime of cruelty against old and infirm Senior Citizen Late Sh. Khan Chand Satija and his wife by assault, torture, harassment and atrocities. Sh. Rakesh Juneja and his wife Dimple Juneja in connivance with Police Personnel at PS Model town made sure that none of relatives and wards of Late Sh. Khan Chand Satija should visit them. During last ten years, twice a time Police Authorities at PS Model town had booked the old and infirm Senior Citizen in false case under 107/51 and in Oct. 1998, Late Sh. Khan Chand Satija along with his two sons were placed behind the bar in PS Model town by the Police Authorities in connivance with Sh. Rakesh Juneja and his wife Dimple Juneja. Sh. Rakesh Juneja had tampered the electricity, water and telephone connection and made sure late Sh. Khan Chand Satija should lead a miserable life in pathetic condition. At many occasion Sh. Rakesh Juneja and his wife Dimple Juneja attempted to kill the old and infirm couple Late Sh. Khan Chand Satija and his wife Dayawanti Satija by breaking the windowpanes, physical assault, dragging and pulling by hairs and terrorised so that they should either died or commit suicide. At many occasion, Sh. Rakesh Juneja and his wife Dimple Juneja made captive the old and infirm couple late Sh. Khan Chand Satija and his wife Dayawanti Satija by locking them from outside. In regard to rescue from the devil hands of Sh. Rakesh Juneja and his wife Dimple Juneja, late Sh. Khan Chand Satija made a numerous request and SOS to the various concerned Authorities including Police but all his pleas have fallen deaf ears. In April 2002, late Sh. Khan Chand Satija had approached in the court of Chief Metropolitan Magistrate against the horror crime of cruelty by Sh. Rakesh Juneja and his wife Dimple Juneja. Though the Police Authorities at PS Model Town had filed the FIR under the direction of court but booked the accused Sh. Rakesh Juneja and his wife Dimple Juneja with bailable offence. On 16th December 2007, when late Sh. Khan Chand Satija was walking nearby to his house, the accused Sh.Rakesh Juneja attempted to kill him by hitting with his two-wheeler and run away. As late Sh.Khan Chand Satija who has already lost the faith on Delhi Police went to CGHS Dispensary for treatment. The CGHS Dispensary referred him to Bara Hindu Rao Hospital where he was treated and plastered in his right arm. Late Sh.Khan Chand Satija was fighting with the Police for the last 10 years on protection of his lives from the notorious devil action, threat to kill and dire consequences by Sh.Rakesh Juneja and his wife Dimple Juneja but his entire plea had fallen in deaf ears. Late Sh. Khan Chand Satija who was Senior Citizen living alone had no option but to tolerate the continuous harassment, beating torture, atrocities, cruelty and mental agony and physical assault from Sh. Rakesh Juneja and his wife Dimple Juneja. On the intervening night of 27th December 2007, as usual Sh.Rakesh Juneja under the influence of alcohol banged the door for 30-45 minutes of late Sh.Khan Chand Satija and threaten to kill him and also used the abusive language. Late Sh. Khan Chand Satija being the owner of house was spending his last part of life as slave in the hands of Sh. Rakesh Juneja could not bear any more torture and died after few hours in the early hours of morning on 27th December 2007. This is how accused Sh. 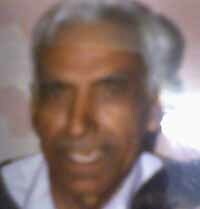 Rakesh Juneja ended the life of poor old and infirm Senior Citizen Sh. Khan Chand Satija. A complaint was made with PS Model Town on mysterious and un-natural death of late Sh.Khan Chand Satija and Sh.V.D. Pandey Sub Inspector, Investigation Officer registered the case under DD No.33B without filing FIR and done the postmortem of the body at Babu Jagjeevan Ram Hospital. Sh.V.D. Pandey, Investigating Officer of PS Model Town has not so far initiated any legal action under IPC against Sh.Rakesh Juneja and his wife Dimple Juneja for his continuous torture, harassment, cruelty, brutality and physical assault even after obtaining the written statement from the son-in-law and two sons of late Sh.Khan Chand Satija. Sh. D.K. Singh ACP, Model Town says that as per High Court order FIR cannot be registered in suo-motto. Sh. Maniesh Aggarwal, DCP NW, says that FIR can only be registered on the basis of evidence i.e. Postmortem report, which may take upto six months as viscera of late Sh.Khan Chand Satija is preserved by Babu Jagjeevan Ram Hospital. According to DCP NW, above circumstantial evidence and numerous complaints of late Sh. Khan Chand Satija on torture and assault by accused Sh. Rakesh Juneja and his wife Dimple Juneja cannot be taken into consideration as evidence to file a FIR and initiate legal action under IPC against the accused. Sh. P.R. Meena, Jt. Commissioner of Police, North says that he had asked for the status report from the concerned DCP. Sh.Alok Kumar Verma, Jt. Commissioner of Police, Crime directed Sh.D.K. Singh ACP, Model Town to take action against accused Sh.Rakesh Juneja but so far the ACP Model Town has not initiated any action. responsible to protect their lives against crime. Has our Police become incompetent ??? On 24th January 2008, at about 2000 hrs Sh. Rakesh Juneja had trespassed into my room and threatened me to kill by showing the naked knife, showed his terror by using abusive language for 15-20 minutes. Though the police came after informing them at PCR but left after obtaining my statement . On 25th January 2008 at about 0600 hrs. Sh. Rakesh Juneja had again tried to trespass into my mother room by banging the door for 15-20 minutes and threatened me to kill with knife. Anyhow I run away and called the police. This time again police came too late even after repeated call to PCR at 0830 hrs. and left after obtaining my statement. This is how the Police are protecting the life of Senior Citzen who is staying alone. The ultimate moto behind the torture, assault, harassment, cruelty and atrocities by Sh. Rakesh Juneja and his Wife Dimple alias Satvinder Kaur is to grab my entire property as I am staying alone. It is also fact and known to police that Sh.Rakesh Juneja and his wife Dimple alias Satvinder Kaur are holding their own property in the same locality at 7 Priyadarshi Vihar, Near Nanak Piao Gurudawara but police is acting as total ignorant and converting culpable homicide into Civil dispute. Since beginning the investigating officials of PS Model Town are briefing the torture, assault and cruelty of Sh. Rakesh Juneja as Civil Dispute to the higher authorities at Police HQ and in turn they say no police action is attracted. It is therefore requested to please hand over the case to CBI for impartial investigation and justice to poor and old widow who is staying alone.